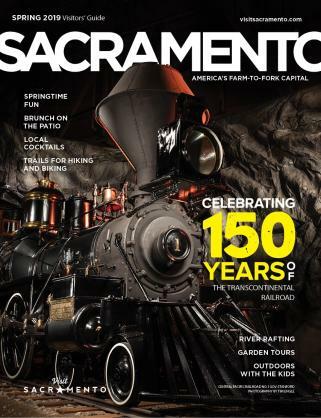 As America&apos;s Farm-to-Fork Capital, the Sacramento region is bursting with food all year long. That&apos;s right, the area&apos;s diverse Mediterranean climate and naturally rich soil make for almost perfect conditions for growing and producing countless crops throughout the year. Naturally, we like to celebrate and share our bounty. The best way to do that is through festivals. Below you will find our top picks for the area&apos;s best festivals all year long. Sacramento Bacon Fest, Sacramento. Sacramento&apos;s Bacon Fest is just what the doctor ordered for the January blues. This weeklong celebration highlights local restaurants and chefs who source the best local ingredients for their menus, as well as chefs who make their own bacon. The organizers of Bacon Fest ensure that proteins are sourced from respected farms and ranches that utilize the whole animal. In addition, the organization gives back to the agricultural community by donating funds to the Center for Land-Based Learning to be used for educational initiatives and farm academy programs. The festivities include an opening party, special dinners throughout the week and other great events. Capay Valley Almond Festival, Esparto. With the trees having first been planted in California in 1853, almonds are now California&apos;s second-largest agricultural export, accounting for 82 percent of the world&apos;s production. Almond orchards can be found up and down the Central Valley, with the Capay Valley in Northern California celebrating the California almond with a six-community festival each February. The communities of Madison, Esparto, Capay, Brooks, Guinda and Rumsey all have something to offer visitors of all ages as they enjoy entertainment, crafts and good food during the one-day event. Capitol Beer Fest, Sacramento. The final event to Sacramento&apos;s Beer Week - an 11-day event that features 35 area breweries and 120 restaurants - the Capitol Beer Fest closes out the fun with beer tasting guaranteed to satisfy every palate, and an afternoon of music and food trucks on Capitol Mall between California&apos;s State Capitol and the iconic Tower Bridge. San Joaquin Asparagus Festival, Stockton. Come to Stockton for the biggest Asparagus festival in the West. In 2016, the San Joaquin Asparagus Festival hosted 80,000 people who enjoyed anything and everything asparagus. From asparagus ice cream to asparagus nachos and corn dogs, this festival has it all. There&apos;s also carnival rides, a kid zone with bounce houses, activities, monster truck rides, an animal farm, vendors and more. Roseville&apos;s BerryFest, Roseville. The Berry Fest offers a full weekend of family-friendly fun at the Placer County Fairgrounds. Visitors will enjoy plenty of berry-infested activities and entertainment starting with a strawberry pancake breakfast hosted by the Boy Scouts, a parade, strawberry car cruise, music, cooking demonstrations, a kids zone and more. Save Mart Grape Escape, Sacramento. 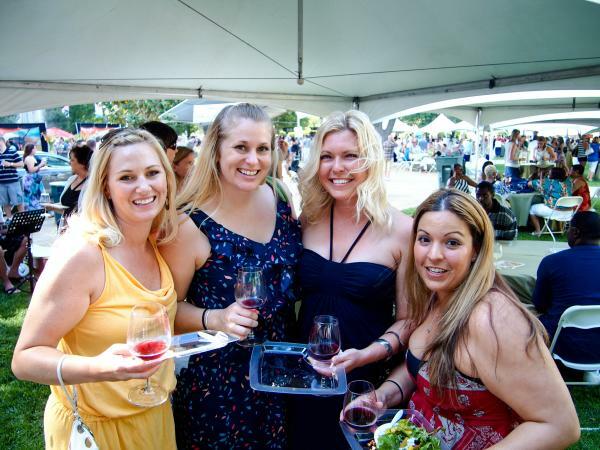 Sacramento’s most popular wine tasting event takes place at downtown&apos;s Cesar Chavez Plaza with more than 60 regional wineries pouring throughout the evening alongside popular area breweries. Save Mart Grape Escape attendees will also find bites from local restaurants, culinary entertainment, live music and much more. Marysville Peach Festival, Marysville. Located on D Street in Marysville, the Peach Festival is a wonderful family-friendly event that starts off with a 5k run/walk and pancake breakfast. This free festival has a special kids zone, carnival rides, arts and crafts, food, entertainment and, of course, peaches, peaches and more peaches. Woodland Tomato Festival, Woodland. With 42,000 acres of pure tomato production in Yolo County, the town of Woodland has cause to celebrate - and they do! 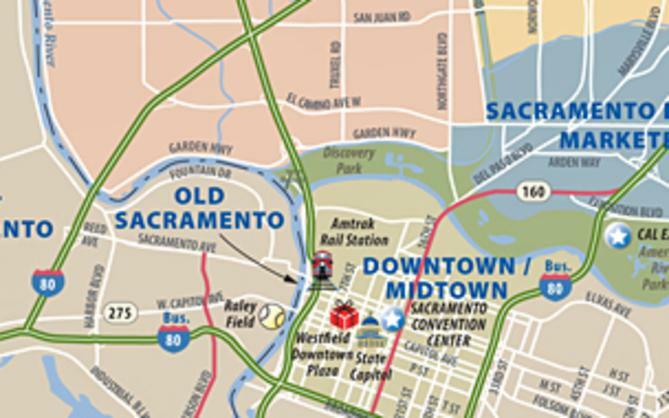 Come August, the town&apos;s downtown historic district hosts the Tomato Festival of Yolo County. Program and scheduling includes salsa and chef competitions, Heirloom tomato tastings, musical entertainment, face painting, food and craft vendors and more. Farm-to-Fork Festival, Sacramento. 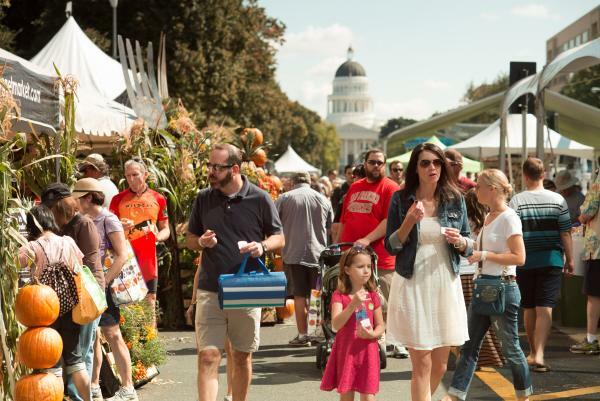 Sacramento&apos;s free Farm-to-Fork Festival hosted on the city’s iconic Capitol Mall boasts a delicious selection of farm-to-fork offerings that are produced and available in the Sacramento region. Attendees will find food, wine and beer from regional eateries and purveyors, as well as live music, five live cooking demonstration stages, a kids zone, interactive booths from local grocers, farms and ranches and more. Hoes Down Harvest Festival, Yolo County. Hosted at Full Belly Farm in Yolo County, the Hoes Down Harvest Festival is truly a unique festival celebrating the end of the harvest in Northern California. The two-day festival includes family camping, hands-on agricultural activities and workshops, a silent auction, farmers market, live music, wine tasting, a children&apos;s area, a kids camp and even circus performances. Mountain Mandarin Festival, Auburn. The Sierra Nevada foothills are the perfect fall backdrop for Auburn&apos;s Mountain Mandarin Festival. 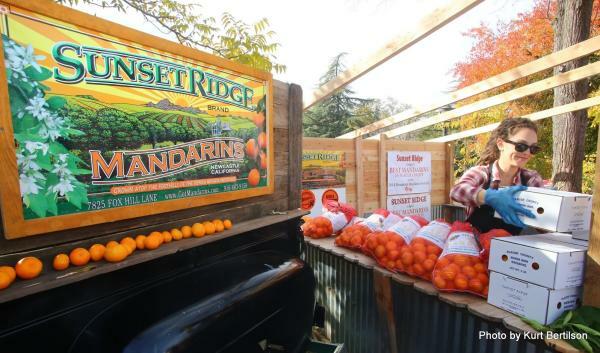 This November marks the 23rd annual Placer County festival celebrating the Mandarin Orange. Visitors will enjoy a Mandarin recipe cooking contest, chef demonstrations, artisan crafts, food, hands-on activities, live entertainment and Mandarin orange tastings including chocolate-covered Mandarins, Mandarin pizza, barbecuesauces, syrups and more. Cornish Christmas Celebration, Grass Valley. While historic Grass Valley&apos;s Christmas festival isn&apos;t exactly centered around food or drink, you&apos;ll enjoy plenty of each, nonetheless. A Cornish Christmas Celebration first began in 1967 as a way to preserve Grass Valley&apos;s Cornish heritage and fast became one of the region&apos;s most popular December events. Visitors will enjoy a truly traditional Christmas experience with carolers and other musicians, cloggers entertaining the crowds, handmade arts and crafts, roasted chestnuts and other hearty meals available in area restaurants, and even some wine tasting. 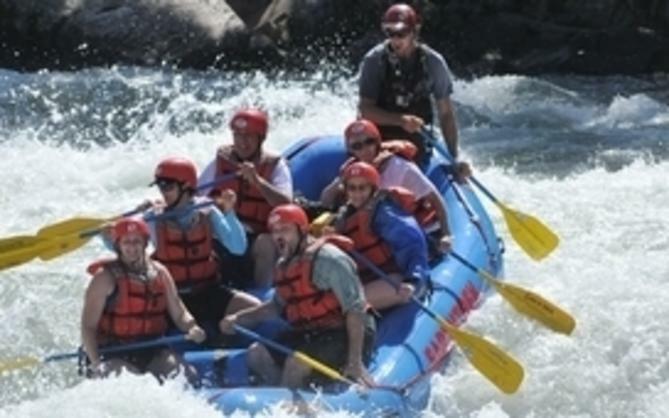 All within the backdrop of charming Grass Valley.